Best of the West photographer Bill Crnkovich has been taking pictures for over 30 years. An engineer by degree, Bill's career brought him to Utah from Virginia in 1994. He fell in love with the West's landscapes especially the Colorado Plateau's red rock country. He describes the Intermountain West as "Photographer's Paradise." Bill's objective is: to capture the best that the West has to offer and to present those images as spectacular photographs. He uses light and color to transform the West's magnificent landscapes into stunning images. Sunrises and sunsets are his favorite times to capture the beauty of the land. His attention to detail is rewarded in his many outstanding pictures. 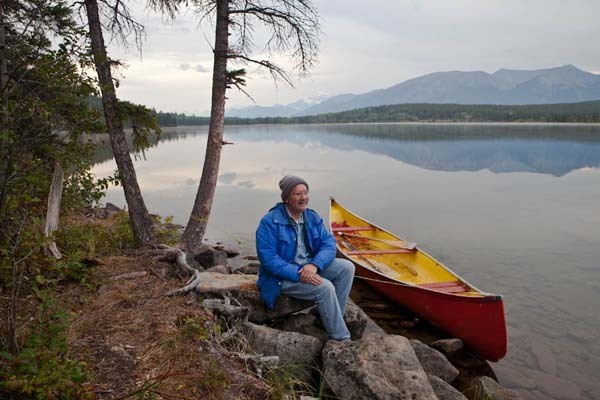 He believes in leaving the land in its pristine condition for all to enjoy including future generations. Bill has perfected his skill over the years using a 35mm camera. For years he used a 6x7 medium format camera to take advantage of the larger image size that results in a sharper photograph. In 2009 he switched to the Canon 5D Mark II digital camera. Bill strives to keep his final images as narural looking as possible. Bill has won many awards and has been published numerous times. His most prestigious award was third place in National Geographic Traveler's 1997 annual contest out of over 22,000 entries (see picture below). His "Autumn Along the Virgin River" was awarded the "Museum's Choice" in 1999 at the Monte L. Bean Life Science Museum's Nature Photography Contest and Exhibition and is now part of the museum's permanent collection. 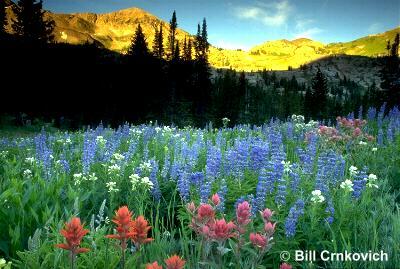 In 2000 he took the museum's other top award, "Friends of the Museum Choice," with "Albion Basin Wildflowers." His pictures are annually featured in calendars. His work is extensively displayed in the book "The Wasatch Mountains, Utah: A Photographic Portrait". The book "Salt Lake City: A Photographic Portrait" exclusively features his images from the Salt Lake City area. Bill has taught numerous photography courses in the community. He is a founder of the Wasatch Camera Club and Focal Point Photographers located in Salt Lake City.